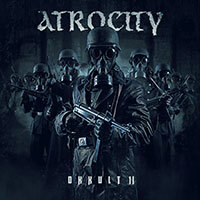 Atrocity – Official Website » “Werk 80 II” strictly limited Gatefold Vinyl out now! “Werk 80 II” strictly limited Gatefold Vinyl out now! GREAT NEWS FOR ALL WERK 80 FANS! After the success of the 1st part of the project called “Werk 80”, Night Of The Vinyl Dead is happy to present you the missing follow-up! ATROCITY – “Werk 80” part 2 for the very 1st time on vinyl in a strictly limited edition of 250 hand-numbered copies in luxurious gatefold cover featuring the amazing photos of Dita von Teese! The Queen of Burlesque! New arrangements and totally new mixes for evergreen of the 80’s pop music in a totally new version with the unique ATROCITY-like style! “People are people” (Depeche mode), “Don’t you (forget about me)”, originally performed by Simple Minds, “Such a shame” (Talk Talk) and “Keine Heimat” (Ideal) are just an example of how this great German band can change and give new life to old hits and dress them with the clothes of the Future, be it Industrial, Techno, or Dance-EBM !!! Are you ready for the dance floor? 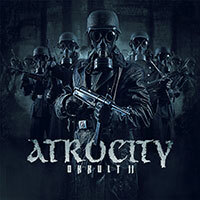 ATROCITY dare where no one else can ! Make this gem yours! NOW!